Although neither of my parents went to college, they wanted my sister and me to attain a higher level of education than they did. My parents raised us to be curious and inquisitive. As long as I can remember, I have always wanted to learn the why of everything. To my parents and me, college was a place where I could learn new things and better myself. I always knew that I wanted to go to college. I lived on campus when I was an undergrad. I made friends with other students in my dormitory and was immersed in university life. As a foreign student 8,000 miles away from home, my school friends became my surrogate family. Without the friendship and mutual support, I don’t think I would have made it through my first year, let alone finished college. Unlike students who came from college-educated families, my folks weren’t able to give me advice on how to be a college student. I had to figure out how to navigate college life and set my own goals. What should I major in? Should I aim for an A, or do just enough to get a B? What is an extension? What is an honor society? Should I join this sorority? I discovered that college was a distinct culture, with its own language and expectations! During my first semester, I had no clue what it meant to do well in college. I had to learn that as I went. College is often the first time that young adults meet people with experiences very different than their own. If you are a first-gen college student, try to learn something from everyone around you. Even people whose beliefs and background are different than yours have something to teach. Watch, listen, and learn. Be open to new experiences and new ideas. Most importantly, don’t be afraid to ask for help, and don’t let your pride get in the way of taking good advice. 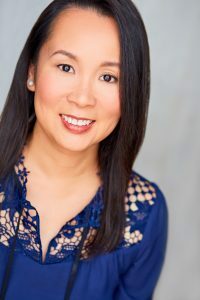 Ada Woo is ACTNext’s senior director of strategy implementation and operations. She received her BA in Psychology from the University of North Alabama, her MS in Experimental Psychology, and holds a PhD in Quantitative Psychology from the University of Texas at Arlington. Ada has more than a decade of experience in the licensure and certification testing field. In addition to her work in psychometrics and research, Ada is an active member in the assessment industry.